Varun Cooltech India Pvt. Ltd.
Used as night bulbs with wattage less than 0. 6 watt. 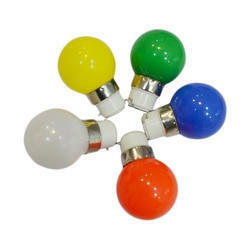 Led bulb elegently designed high quality retrofit full dome coloured LED night bulb. 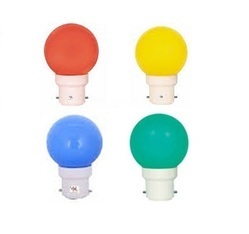 we have available colour in 0.5 watt led night bulb, (WHITE, RED, GREEN, BLUE, YELLOW, ORANGE). Backed by a team of well qualified and experienced professionals, we are engaged in offering a wide array of Zero Watt Night Bulb to our respected customers. Lighting Color: Blue, Red, Green, White, Yellow, etc.